Maine residents are no strangers to snowy, icy, and otherwise inclement weather conditions. During the winter, the focus is often on the roadways. However, sidewalks and other walking areas can give rise to serious injuries if they are not properly maintained by property owners. In Maine, property owners, lessees, and all other individuals who have control or possession of property have a duty to exercise reasonable care to promote the safety of anyone on their grounds. In the event that a person slips and falls on an icy or snow-covered surface, he or she might have the basis for a premises liability lawsuit. Although anyone may suffer an injury from slipping and falling on an icy surface, certain people may be at a higher risk. These include the elderly, the disabled, and people taking certain medications that may increase the risk of dizziness or impaired coordination. Walking with one’s hands in one’s pockets is also a potential hazard because it can impair the individual’s ability to regain balance when slipping on ice. Even when an individual exercises care when traversing icy areas, poor upkeep of walking surfaces can easily lead to a serious slip and fall. A fall can injure any part of the body. However, some of the most common slip and fall injuries include bone fractures such as fractures of the hip and arm. Slip and fall victims may also suffer from head trauma. In some of these cases, a mild concussion may result; however, brain injuries can sometimes lead to lifelong disability. Some slip and fall accidents may cause spinal cord injuries, leading to paralysis. Not every tumble can be attributable to a property owner’s negligence. However, if you sustained injuries in the slip and fall incident, you may have legal recourse available to you. Premises liability claims are based on negligence. In order to bring a claim against the defendant, a personal injury lawyer must prove that the defendant owed a duty of care to the plaintiff. The defendant may be a municipality if the incident occurred on public property, such as a public sidewalk or street. Or, if the incident occurred on private property or on a sidewalk that a property owner was responsible for maintaining, this individual may be named as a defendant. Second, a plaintiff must prove that the defendant breached the duty of care by failing to clear snow and ice from the property in a timely manner. 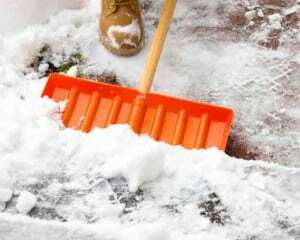 Some municipalities have ordinances that set a specific window of time during which property owners must clear away snow and ice after a storm. Additionally, plaintiffs must prove that the negligence of the property owner directly led to the accident and caused the injuries. As experienced Maine accident lawyers, Hardy, Wolf & Downing would like to offer complimentary, no-obligation case reviews to residents who have been injured on another person’s property, whether outside an apartment building, a private residence or public place. Call 1-800-INJURED to contact our law offices in Portland and Lewiston.